The Council on American-Islamic Relations – Florida (CAIR-Florida), the state’s largest Muslim civil liberties and advocacy organization, today announced that on June 9, Florida’s Muslim community plans to hold various interfaith memorial services for the late Muhammad Ali. The Orlando community will hold a Jannaza (funeral Service) at Masjid Al-Haqq – Islamic Center on 545 W. Central Blvd., Orlando (downtown) at 9:00p.m. The Palm Beach community will also hold a Memorial & Prayer service at the Muslim Community of Palm Beach County (MCPBC) Islamic Center located in 4893 Purdy Lane, West Palm Beach, FL. “Muhammad Ali had a special relationship with Florida. It was here, in Miami Beach, where he won his first title fight against Sonny Liston becoming the heavyweight champion of the world. 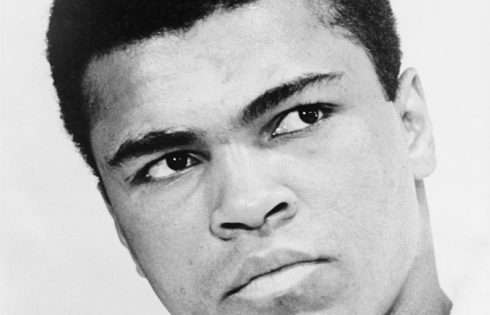 And on the next day, in this same State, he made the announcement that he was joining the Nation of Islam.” said Wilfredo Amr Ruiz, Communications Director for CAIR-Florida, who will be making an introduction to ‘The Legend’, Muhammad Ali, at the MCPBC event in Palm Beach. “Muhammad Ali championed civil rights causes benefiting persecuted and oppressed racial, ethnic and religious minorities. He stood firm against hate and bigotry, racism and discrimination.” said Rasha Mubarak, CAIR-Florida Orlando’s Regional Coordinator, who will be participating in the funeral services at Masjid Al-Haqq in Orlando. During the Thursday evening memorial services, Floridians from diverse communities plan to discuss what Muhammad Ali’s life and legacy means to them. “There is no doubt that Muhammad Ali was the hero, his ideals of which American Muslims need now more than ever. His death, just days before Ramadan has all of America; and our Nation cannot escape the conversation that Islam is integral to American history and that Muslims have contributed tremendously to this country,” said Hassan Shibly, CAIR-Florida’s Chief Executive Director. Floridians of every faith are welcomed to attend the memorial services in Orlando and Palm Beach. CAIR-Florida is the state’s largest Muslim civil liberties and advocacy organization. Its mission is to enhance the understanding of Islam, encourage dialogue, protect civil liberties of all people, empower American Muslims, and build coalitions that promote justice and mutual understanding.